Team Fortress 2 is one of our favorite Valve games ever. It was released in 2007, but being the kind folks they are, Valve has never stopped updating it, turning it into one of the most expansive and fun to play cooperative games of all time. Shipping in September are The Scout and Pyro — our first-ever Team Fortress plush! No less cuddly for their weapons and attack skills, these two offensive class specialists are hand-sewn and true to the animated look and feel of the game! He’s lean, mean and with that headset, you know he’s all business. The Scout is the fastest character in Team Fortress 2 with his double-jump and one of the best at hit and run attacks, knocking his opponents back and then running off before he can take any hits himself. The plush Scout probably won’t cause nearly that much damage, but we still recommend not throwing it against your favorite lamp or anything like that. Who is that masked man? It’s Pyro, the aptly-named fire addict whose flamethrower you do not want to be on the wrong end of. Pyro is twice as lethal because once he burns you, you stay burned and sustain more damage over time, and — big surprise here — the fire-obsessed mask-wearing guy is also a total weirdo. 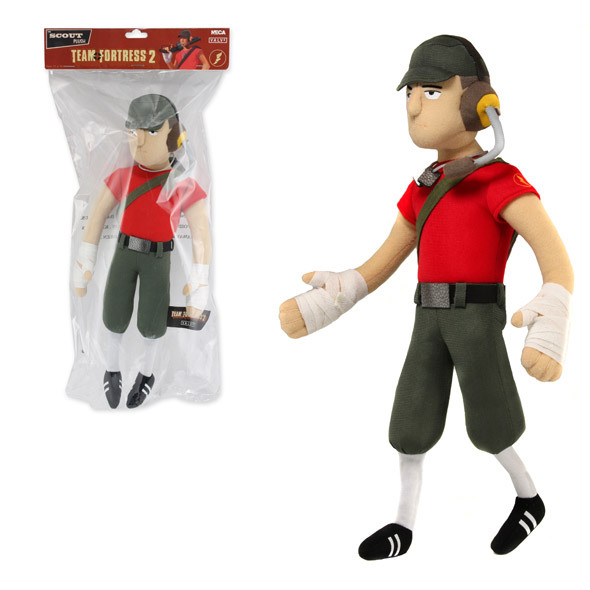 Still, we love the look of the character and this first Team Fortress 2 plush captures it perfectly. Get ready to visit Pyroland. 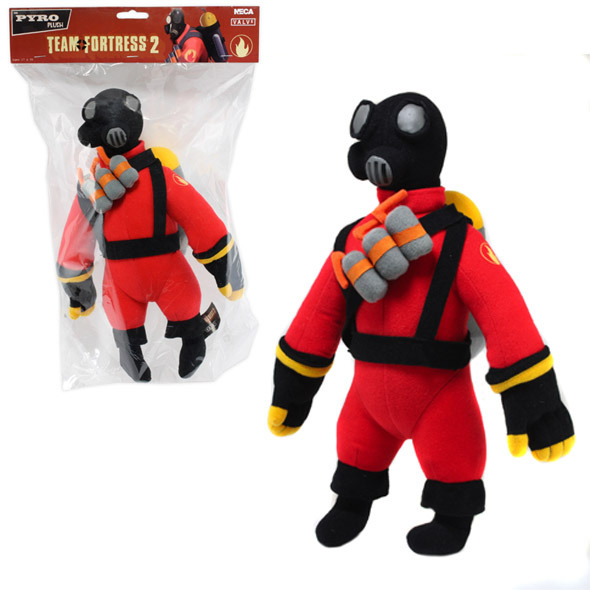 Both plushes stand 13″ tall and are hand-sewn with intricate detailing to get the feel of the Team Fortress 2 animation. Make sure you stay tuned for news and updates from Valve games like Half-Life and Portal, Team Fortress 2, and all your favorite (and our favorite!) games, movies and more!